Ginkgo Biloba is almost universally accepted as an effective treatment for deteriorating memory and early-stage Alzheimer's disease. This herb boats high levels of antioxidants and enhances blood flow in the brain. Some health practitioners recommend that daily doses be limited to no more than 120 mg a day, while other practitioners may prescribe as much as 360 mg. Discuss with your doctor. Ginkgo biloba may interact with blood-thinning compounds such as heparin, aspirin, or warfarin, known by the brand name, Coumadin. 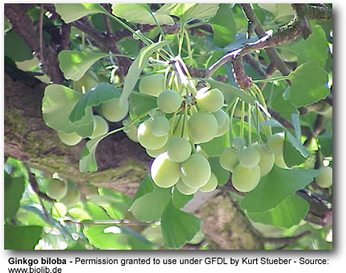 Ginkgo biloba may intensify anti-clotting effects of drugs because it, too, has anti-clotting properties. Discuss possible drug interactions with your doctor. The preparations of ginkgo biloba commonly sold as herbal supplements are derived from the leaves of the ginkgo trees, which are probably the longest living in the world Individual trees are believed to live for up to 1,000 years and are found most commonly in southern and eastern areas of the US, southern France, China, and Korea. Traditional Chinese medicine has made use of the nuts of the ginkgo tree for around 5,000 years, but the use of the leaves is a relatively recent European development. Widespread recognition of the active properties of the plant have made ginkgo leaf extract products the best-selling of all herbal medicines and supplements in Europe, and also placed them in the ten most popular in the USA, where it’s classed as a dietary supplement. In fact it’s estimated that around 2 billion 120 mg doses of supplement have been sold in the last twenty years alone. The principal active elements of ginkgo leaf extract are the flavonoids which, like those derived from other sources (green tea, for example) are a powerful anti-oxidant; and terpene lactones. As an anti-oxidant, ginkgo biloba is particularly effective in neutralizing the most damaging superoxide free radicals and thereby helping to prevent the atherosclerosis, or hardening of the arteries, which is a common precursor of serious cardiovascular disease. And most of the benefits of ginkgo stem in fact from its effect in improving the circulation of the blood - as numerous research studies have demonstrated. Ginkgo enhanced circulation in the minute capillaries of the eye has been credited with protecting against age-related macular degeneration (AMD), cataracts and diabetic retinopathy. Improved circulation in the ears may also protect against tinnitus and hearing loss. Studies using supplementation at 240 mg also demonstrated improved exercise tolerance and reduced pain in those suffering from intermittent claudication, or peripheral vascular disease, –a painful and potentially dangerous problem with the circulation in the legs. But as valuable as these effects undoubtedly are, it’s as a stimulant for the brain and a protector against the dreadful effects of Alzheimer’s disease and other causes of dementia that ginkgo biloba is best known. Although conventional medicine, as ever, retains its tendency towards caution when considering the possible effects of “alternative” remedies, it’s generally conceded that ginkgo biloba has significant therapeutic effects in the treatment of the early stages of Alzheimer’s. The benefits, in fact, are closely analogous to those of conventional drug therapies, and although not, of course, offering a cure, may significantly slow down the progress of this most devastating disease. Research studies have also indicated clinically significant improvements in performance in standard tests of memory and learning when healthy adults were given supplements at the level of 180 mg of ginkgo biloba a day for a period of six weeks. Similar benefits, however, were not shown at lower levels of supplementation. The common sense hypothesis is that ginkgo biloba improves the blood supply and circulation to the brain as it does to other parts of the body, which can only have a positive effect on the memory and other cognitive functions of the organ. Moreover, improved circulation along with ginkgo biloba’s anti-oxidant properties play a major role in protecting against the circulatory problems which can lead to stroke, still one of the major causes of premature death or incapacity in the Western world. Although the 180 mg daily dose has been shown to be beneficial, some alternative medical practitioners recommend higher doses, even as high as 360 mg. The generally recommended composition of supplements, and that found in most commercial preparations, is in the proportions 24% ginkgo flavonoids and 6% terpenes. Ginkgo biloba is recognized as a safe medication and very rarely produces any side effects in the otherwise healthy even in the high doses mentioned above. But it’s effect in improving the circulation by reducing the “stickiness” of the blood mean it is strongly contra-indicated prior to surgery and for those already taking blood thinning drugs such as warfarin. In summary it may be said that conventional medicine recognizes ginkgo biloba as a potentially effective treatment for Alzheimer’s disease and as an aid to good circulation with some positive effects in cases of cerebrovascular disease and peripheral vascular disease in the legs. Alternative practitioners insist that ginkgo biloba is also effective in improving memory, learning and general cognitive function in healthy adults, but orthodox medicine remains reluctant to endorse these claims. Steve Smith is a freelance copywriter specialising in direct marketing and with a particular interest in health products. Ginkgo biloba University of Maryland Medical Center review of the uses of this herbal medication. 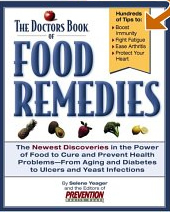 Includes dosages, drug interactions, and research findings.